I signed up for a mini swap with Schnitzel and Boo; over 900(!!!) people signed up for this round. Craziness! I debated long and hard over what to make. I had an idea and did a test block but it would have made the quilt way too big even with using mini charm squares. So this is what I came up with. 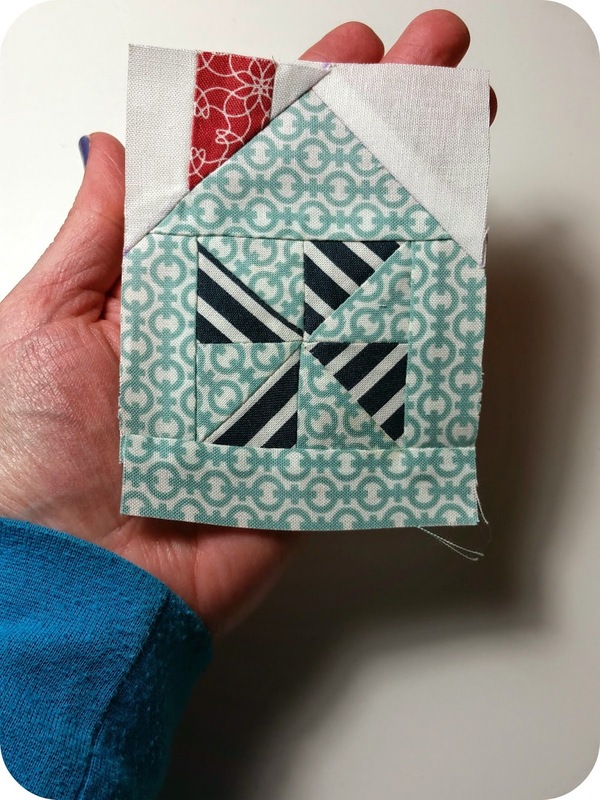 I used the mini Dwell pattern from Thimble Blossoms. 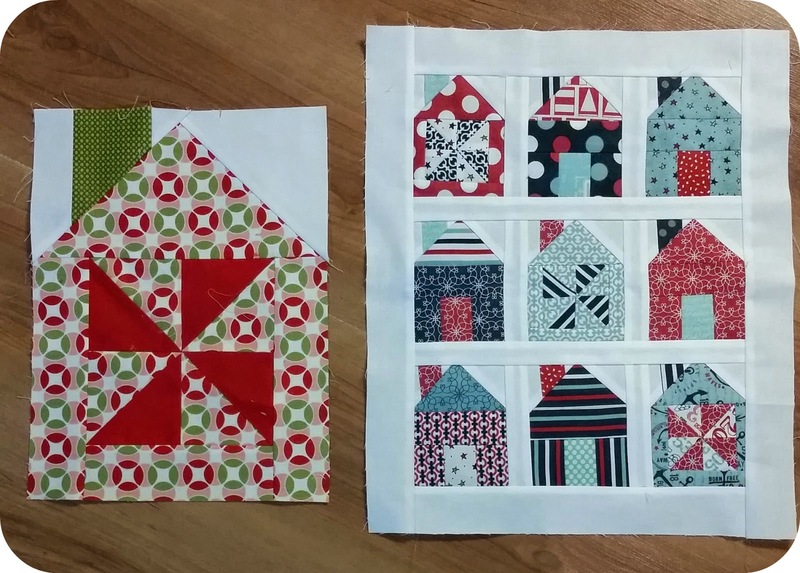 And once I made the mini(it measures 13x19inches) I knew I had to make a 'full size' house block from the Dwell quilt(in Simply Retro). How small are those mini blocks? But oh so fun to make!